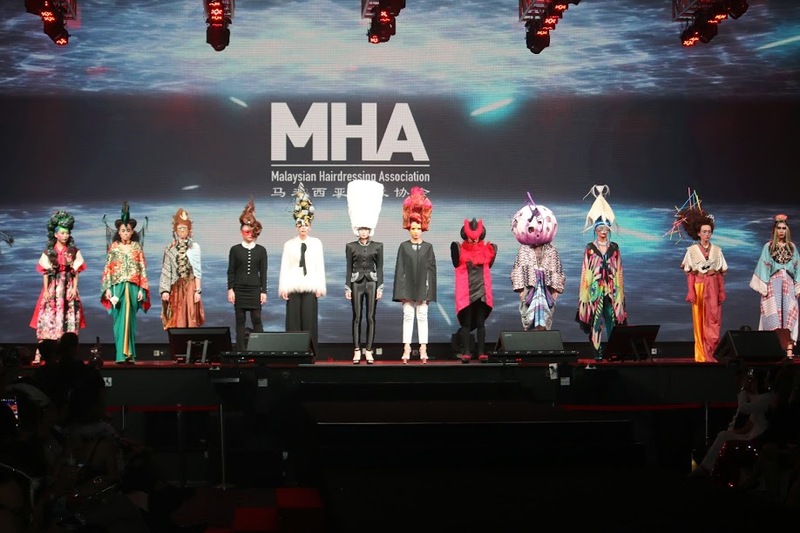 Malaysian Hairdressing Association (MHA) celebrated its 12th years anniversary with the biggest hair show and fashiontainment extravaganza in Malaysia with the titled "It's TIME". Mommy Jane was invited to the celebration on 21 March 2017 at HGH Convention Centre, Sentul. The show aimed to create a platform for local hairdressers to showcase their work to larger audience. Attended by 800 guests including industry leaders, the gala showcased about 60 dramatic hair creations on the runway with the theme of 1920s/30s and Futuristic Chic which consists of three categories i.e. Culture Tribes, Future Avant Garde as well as Shapes and Sculptures. Over 25 local hairdressers included James Wong from A Cut Above, Avier Ng from Tenze Studio, Alice Boon from a+b Hair Studio, Elmer Tay from La'Mode, Juno Loo from Juno’s Perfection Studio, Nick Koh from Signature Hair Salon, and many others. Additionally, the show featured Australian famed hairdresser, Atilio Dusa who highlighted the latest trend in hairdressing with the support from Evo Malaysia had presented the hairstyles. What amaze me is the fashion event which had been celebrated in an eclectic way to showcase hairdressing and fashion evolution created by today’s talented hairdressers and designers. The opening dresses were designed by Keith Kee of Keith Kee Couture, while the rest of the evening gowns were styled and designed by Malaysian fashion stylist and designer, Cris Yong who garnered the ‘MHA Industry Creative Award’. Thanks to MHA for the invitation to join their 12th Anniversary celebration. Mommy Jane was amaze with the fashion show that had created so many talented hairdressers and designers. It was indeed very creative with modern looks. Hope more of such events will be created to build up the talents at Malaysia and to contribute to the society too. 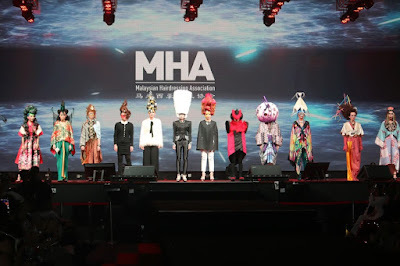 The Malaysian Hairdressing Association was established in 2005 to gather professionals in hairdressing industry and increase awareness of professional rights besides developing the industry. MHA works toward their industry common goal and carry out activities to promote, grow and upgrade the positive image of hairdressing profession for more profitable, productive and respectable industry. MHA proactive role involves training, business expansion, career opportunity, problem encountering and other related activities. Wow.... look at all those style hairstyles. What a great event! Elana, indeed great. It was awesome. Wahh. never know that such event is existed! Zayani, they have it once a year. fun hairstyles event..good to see you enjoy the show. Sherry, the show was fantastic. I honestly didn't know that there is such a thing as a hairdressing association. It looks really prestigious btw! Alvin, really prestigious. I love the way they had organised it. Edo, you should. Never try never know. Wow! Those are some super fancy hair styles! I live the one with the blonde waves! Ps. Your kids are adorable! Nicole, thanks for the compliments. The blonde model is my friend. Wow such a grand event, I wanted to go but was busy with work that night. Kelly, u missed out a great show. I'm always impressed with hair shows like this. Shows off their talents! May, never try never know. It might suits you ler. Wow they are so good! Am lucky if i could make accurately fixed my hair to chignon. They are very artistic! I love to attend hair shows, but haven't attended one of this grand scale yet, though. One day, I hope! Emily, this is really grand and hope you won't miss it next round. The hair styling and clothes are so impressive and it is so nice!! There are so many skilled hairstylist in Malaysia! Everest, lots of talents here. Wish them all the best and they will make our country proud. Wow..that amazing hairstyles! Great job to all of them! Yana, truly amazing. I wonder how long they take to prepare this.